2016 “Actions Positives” Awards: a triumph for ALIPA! 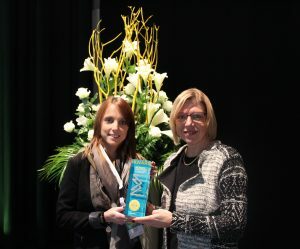 The Equal Opportunities Minister Lydia Mutsch awarded the ‘Actions Positives’ label to the winners, which included the ALIPA Group. Mindful of equal opportunities for men and women, the ALIPA Group is committed to the promotion and implementation of positive actions through a program encompassing three themes. These are equality in treatment, equality in decision-making and equality in the reconciliation between professional and private lives. “We are proud of winning the ‘Actions Positives’ label. We are convinced that the diversity and equal treatment of our employees are factors which contribute to the success of our group,” explains Michèle Detaille, Delegated Administrator of the ALIPA Group.